SC dismissed the challenge against the Jurisdiction of Special Judge dealing with NHRM Scam Cases. The question for consideration before Justices V. Gopala Gowda and Adarsh Kumar Goel was related to the jurisdiction of the Special Judge appointed under the Prevention of Corruption Act, 1988 (PC Act) to try a person other than a public servant if the public servant dies before the commencement of the trial. Further question was whether the Special Judge can try a non PC Act case when his appointment is to try all cases of the category which covers the present case. The National Rural Health Mission Scam which rocked the state of Uttar Pradesh from 2005 to 2006 has since then led to a number of arrests in investigations conducted by the CBI. Several accused in the case were either murdered or committed suicide in the wake of the charges. The Allahabad high Court designated Special Judge, CBI, Ghaziabad for trial of cases there-under. The appellant in one case was named as co- accused inter alia for offence of conspiracy along with a public servant who was charged under the PC Act. He approached the High Court with the plea of lack of jurisdiction of the Special Judge to deal with the case against it after the death of the public servant. The High Court repelled the said contention and dismissed the petition. The High Court relied upon the judgment of Supreme Court in M/s. 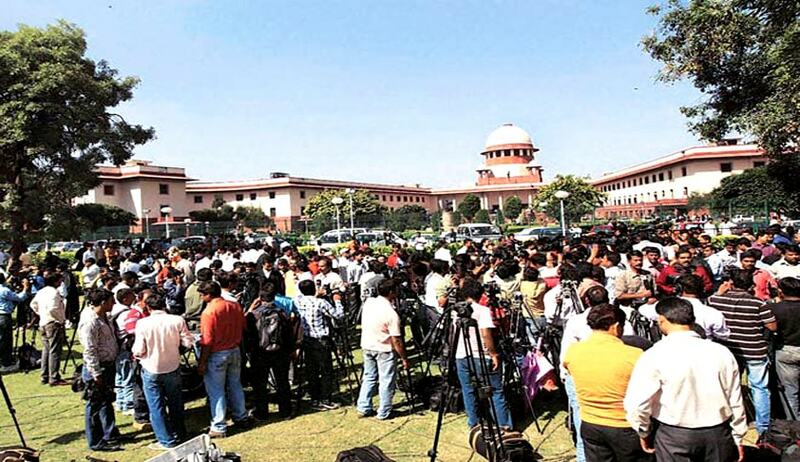 Essar Teleholdings Limited Vs. Registrar General, Delhi High Court and Others, wherein it was held that the Special Judge having been appointed to deal with “all 2G scam” cases, could also deal with cases involving other offences under the PC Act. It is also contended that the charges against it were under Section 120B read with Sections 409 and 420 IPC and Section 13(1)(d) read with Section 13(2) of the PC Act. There is no independent PC Act charge against it. Thus, only for non PC Act charges, proceedings could not continue before the Special Judge. On this aspect, it was observed that the charge could be amended and challenge was pre- mature apart from the fact the Special Judge was competent to deal with non PC Act cases relating to NRHM scam. The Court has also observed that in the present case, the Special Court in question has been constituted not only to deal with the cases of PC Act but also other cases relating to the NRHM scam. Procedure of Code of Criminal Procedure is applicable to trial before Special Judge and there is no prejudice to trial that is taking place before Special Judge duly appointed to deal with non PC cases when the object of doing so was to try connected cases before same court. Dismissing the Appeals the Bench held that undoubtedly, while Special Judge alone could deal with cases under the PC Act, non- PC Act could also be allowed to be tried by the Special Judge under Section 26 of the Code of Criminal Procedure and there is no legal bar to do so.